Feeling prioritized is one of the best feelings in the world, isn't it? 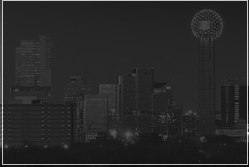 And, at SelectDFW, we know how to make you feel like you are a priority to us. All we do is put our best foot forward to serve you. Welcome to DFW Sedan Service! We are committed to making every drive of yours a pleasant one, where both you and your needs are put on high priority. You are important to us; there are no two ways about it. Why you may ask? Because, with your contentment, our business grows. Additionally, we want to give you an experience where you feel every penny's worth. You can take your pick among the many luxurious and comfortable sedans we have to offer at DFW Sedan Service. All our vehicles are well maintained, thoroughly cleaned and serviced to perfection. Not only do we want you to feel like you're in a royal chariot, we also want you to feel safe in the vehicle you are travelling. Getting to the airport with Dallas Airport Car Service is an experience you should live at least once in your lifetime because we can guarantee that when you travel with Dallas Airport Sedan Service, just one time will not be enough.